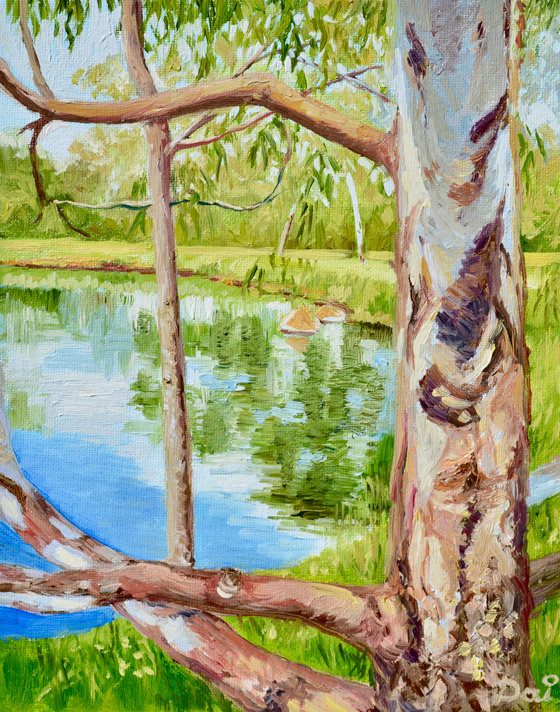 The trunk and branches of a colourful eucalypt offer a natural frame for the still waters of the upper duck pond in the Darebin Wetlands at Alphington. Oil painting by Dai Wynn on canvas panel. 25.4 cm high by 20.3 cm wide by 0.3 cm deep approximately.